April! What's not to like? Quick story.....My wife and I suffered through a few years in Wisconsin and one April I decided it was time to load up the boat and head out to one of the local lakes to fish. Turns out the lake was frozen with not one patch of water anywhere! Bummer. I will never take a California April for granted again. 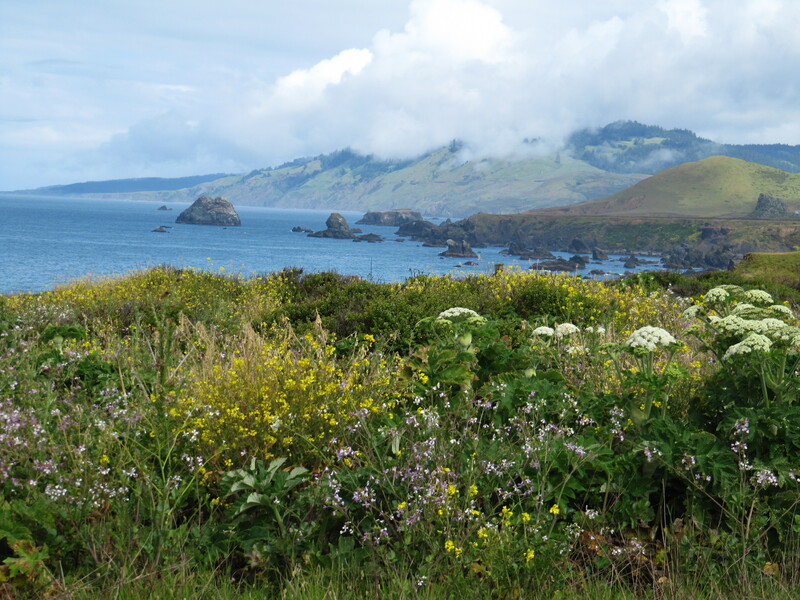 So what is it like in West Sonoma County in April? The apple trees will be in full bloom. The wild flowers will be prolific on the hill sides. The creeks will be running clear and all the trees will be leafing out. 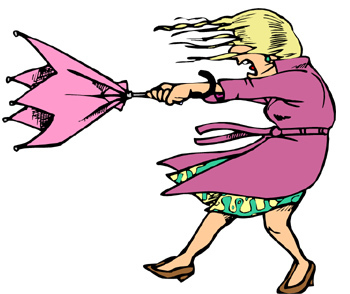 The coast will likely be wendy, I mean windy, so be sure to dress warmly if you plan to go there. 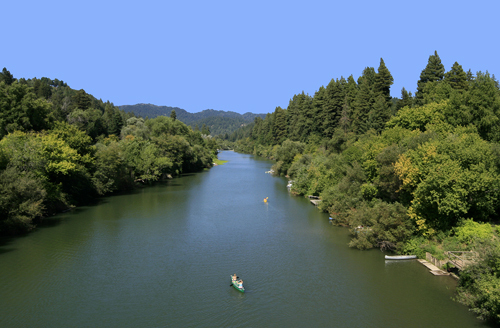 The Russian River will be running green and strong and cold. 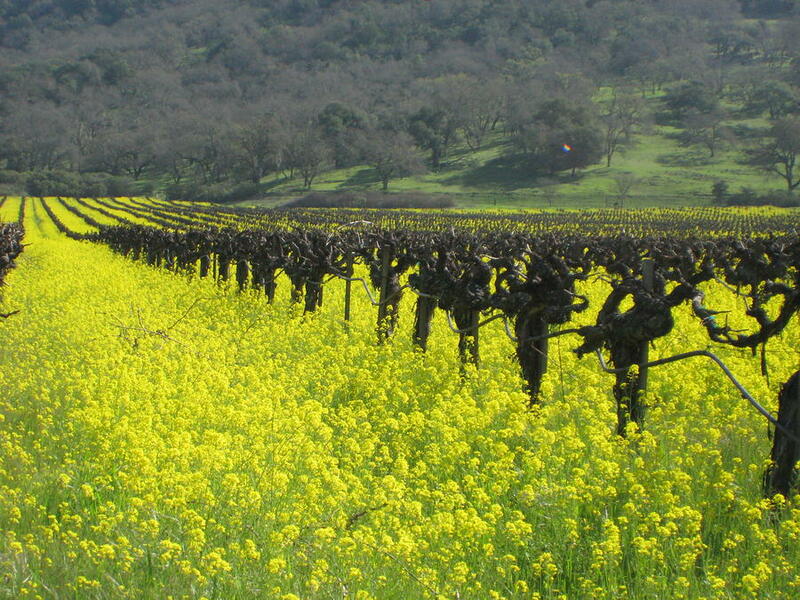 The vineyards will be pruned but not likely plowed so the mustard flowers will be everywhere. The hills will be green and a rain shower or two during the month not uncommonly freshens up the weeds. April is such a great month up there in part because the West Sonoma county gets a lot of rain in the winter. So hiking, biking, wine tasting....all the usual except swimming should be superb. Update 3/24/15: West Sonoma County is dry. I was mountain biking through the hills west of Occidental and the usual mud and spring creeks have already dried up. By state drought standards still better than the rest of the state. Willow creek is running well and the creek on the property looks good but we are starting from low levels. So the saga continues. Update 4/6/2015: Raining in Sebastopol now so that will freshen up the weeds and keep the spring springy! Update 4/14/2015: Talk of drought is overblown. Sebastopol rainfall totals are around 24 inches which is pretty good, Litmus test....farmers say all is well. Occidental Center for the Arts: Hiroya Tsukomoto April 3rd at 8 PM. Check out a you tube of this fellow! Occidental Fools Day Parade: April 4th: Ok, brace yourselves! This is a West Sonoma County Cultural experience. Freedom of expression is fabulously alive and well! Occidental Center for the Arts: April 11-12: Do you like Schubert? How about sherbet? Can't help you on the later, but if you like Schubert you should love these two accomplished musicians. Occidental Center for the Arts: April 18th..T sisters: Sassy sibling song writers! These ladies look like they are having a good time, and when good musicians have a good time, you probably will to! Occidental Center for the Arts: April 25th. Sol flamenco dance troupe. This sounds like fun. Flamenco! Say it with a flourish......see it in Occidental! I will scope it out! Sebastopol Apple Blossom Festival: April 18-19: Its a bit of an anachronism as the area is now known more for grapes but for us old homies, there's nothing like the beauty of Gravenstein apples in bloom.